This middle eastern blogger found a Saudi designer that makes the most unusual, fresh-looking thobes – I found it interesting the differences between the UAE kanduras and the Saudi thobes….. great post, give her a read! Here’s a little something for the guys. 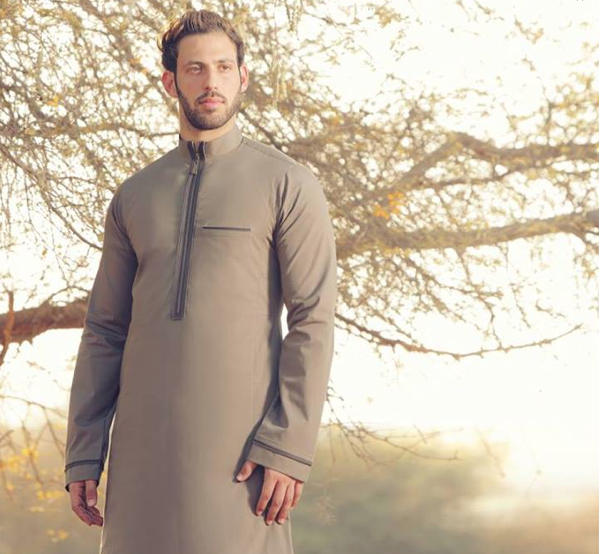 When you think of a thobe, you think of the traditional white thobe, which is very simple and classic in design. There isn’t much to them except for a slight change in the collar and sometimes the colour of the fabric. I came across this thobe brand which caught my attention. It’s about time that the thobe had a facelift. 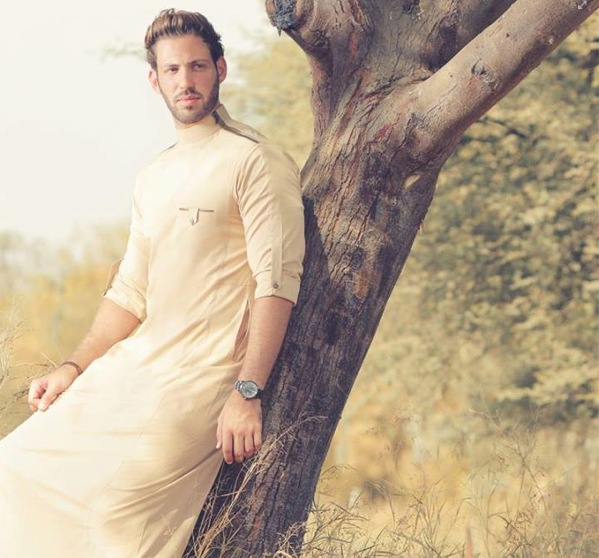 Lomar’s philosophy is to redeﬁne the traditional thobes into more innovative designs to be more appealing for the older generation and fulﬁlling the taste of the younger. These thobes definitely do stand out! They are fresh, modern and trendy. Loving these thobes, wish more jumped on the bandwagon of designing this arab staple. Click here to visit Lomar’s site. TBG is a huge fan of truly bad puns, quips, sarcasm, and innuendo. He’s mastered all of these and refined them to a true art form. Ya gotta have some special qualities to appreciate the depth of his ability in these areas. When you’re living in a place that is 85% foreigners, and made up of about a brazillion different nationalities, none of those attributes translate well. Not a bit. 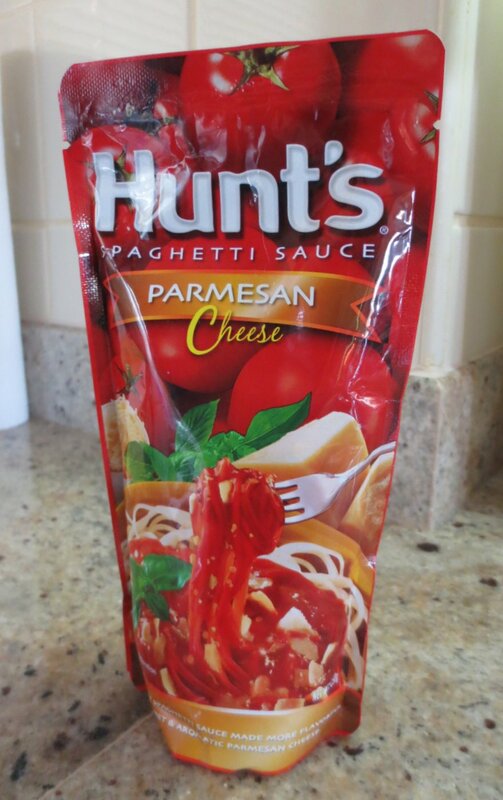 Example – When the server asks at a restaurant if he’d like to try their new chicken supreme pasta – he’ll ask “Can I get it with just the regular chicken? ?” And he’s truly just passing the time, making conversation until he finishes reading the menu and makes a decision. But the poor server has no clue. Looks baffled. Looks around for someone with better English skills. Or the perfume-sprayers. I dunno what you call them, the demonstrator people that stand around with bottles of perfume and cologne and want to spritz you with the scent they’re promoting. “Spray, sir, spray for you? ?” they’ll ask in a sing-song cadence. Frankly, the look on their face is priceless when he pops off something like “Can I get it to go? Takeaway?”. No clue. And, it’s important to confirm things. Example – we ate at The Cheesecake Factory in Mall of the Emirates – it’s the largest one in the world (of course) and had just recently opened – New Year’s Eve. When we ordered, TBG asked about the Red Velvet Cheesecake – asked was it good, had the server tried it? The server said yes he’d tried it and he liked it. TBG closed his menu and said “great!” I ordered the Lemon Raspberry Cream cheesecake…….The server asked if I wanted two pieces. Thinking the question a bit odd, I said “No, thanks though”. Only one came. Mine. No cheesecake for TBG. I suggested that maybe it would be along shortly. It wasn’t. Asked the server “Where is his cheesecake?” With a shocked look, he said “Madame, I am so sorry! I asked if you wanted two pieces, and when you said “No” – I assumed you would share. My apologies. I will get another immediately!” It was another “literal” conversation…..(remember when I asked the clerk “So, what brought you here?” and she led off with “Well, madame, I come from a very small village with no buses, so my uncle who has a car took me to the next town…..”??) TBG asked if the Red Velvet Cheesecake was good and had the server tried it. The server answered. Apparently “great” does not an order indicate…..lol…..We specified to bring a Red Velvet not another Lemon Raspberry (though it was sooo good!). Yes, I’ve told him that he’s wasting his time, and all that *amazingly* entertaining humor <snort> on folks that simply won’t get it. He’s convinced he’s providing a public service – Humor Police or something. Gotta love TheBigGuy and the lack of translation! Language is a funny thing. Language interpretation is even funnier sometimes. In my shopping here (which happens WAY too much) I’ve found some advertising copy that just misses the mark for me, or that truly made me laugh out loud…. So you gotta know, right? Read on…..
A local luxury hotel chain’s loyalty program (Rotanarewards.com) advertises “When exclusive is not so much a privilege, but a lifestyle.” So, wait. Does that mean they’re too exclusive for me? If my lifestyle is already exclusive, does this add privilege? Or perhaps I’m so privileged that this exclusivity should be my lifestyle….. I’m not certain exactly who this one is aimed at, but I’m guessing it’s not me or the other 85% of the population here made up of expats ….. not sure. 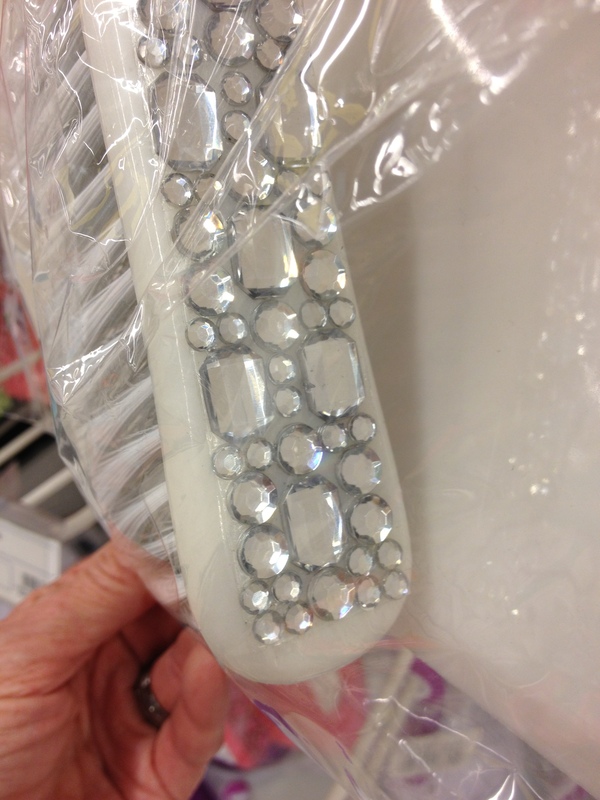 Be-dazzled duster and dustpan – I have no explanation. 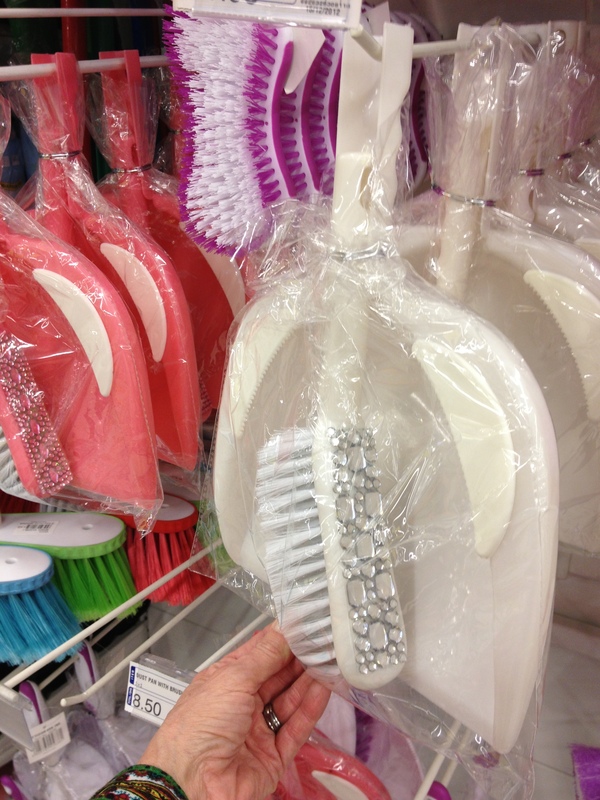 Does it make your cleaning cleaner, maybe? Things sparkle more? Try for the life of me, I have no clue about this one. 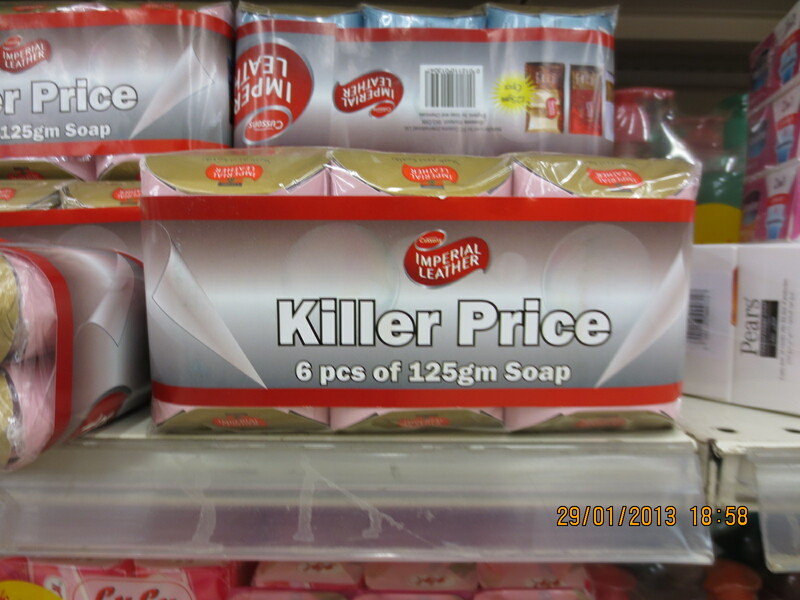 And soap with a “killer price” – literally? 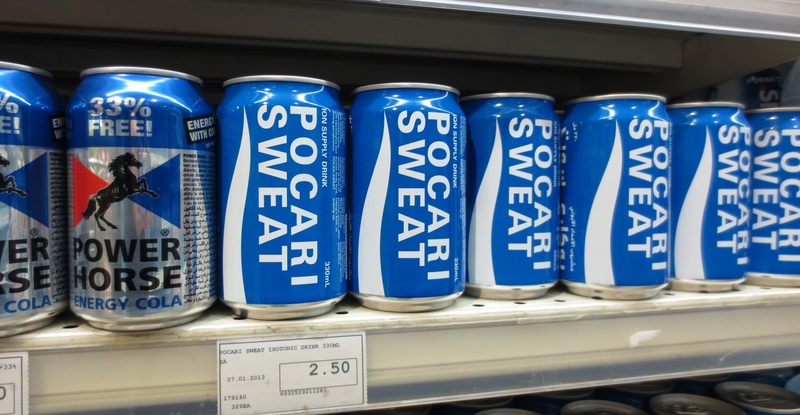 This was a giggle too, who names a sports drink “sweat”?? 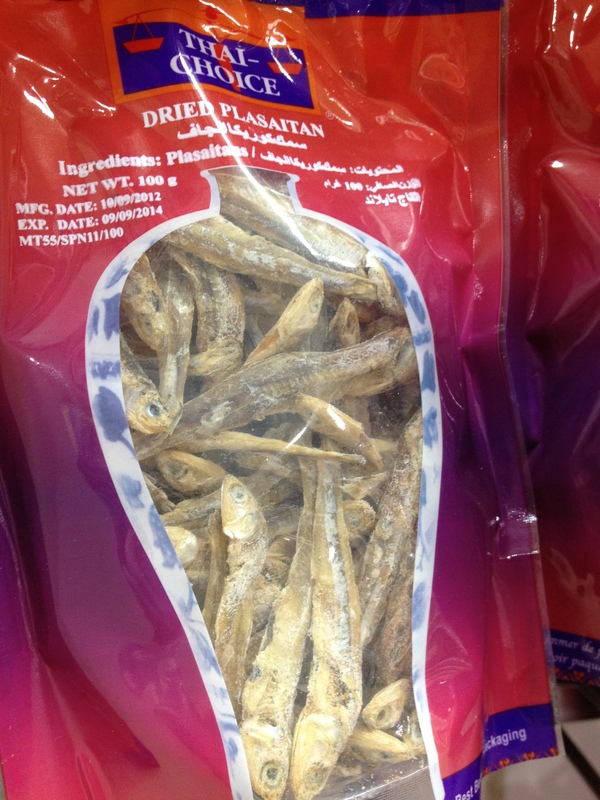 Apparently, this company does….. I didn’t get a photo of this one, but one of the handbills on a light post downtown advertised “House Shifting”. 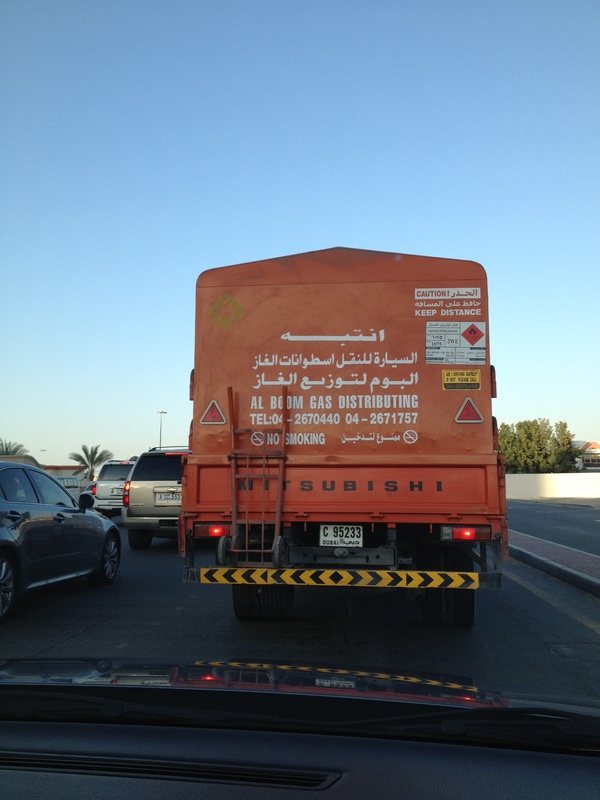 My first thought was that perhaps it was something to do with house-movers, like I’ve seen in the states…. They literally move houses from one location to another. But, one of our neighbors here has lived in Dubai since 1998, and talked about “shifting” from one neighborhood to this so that’s how I learned that it meant moving! 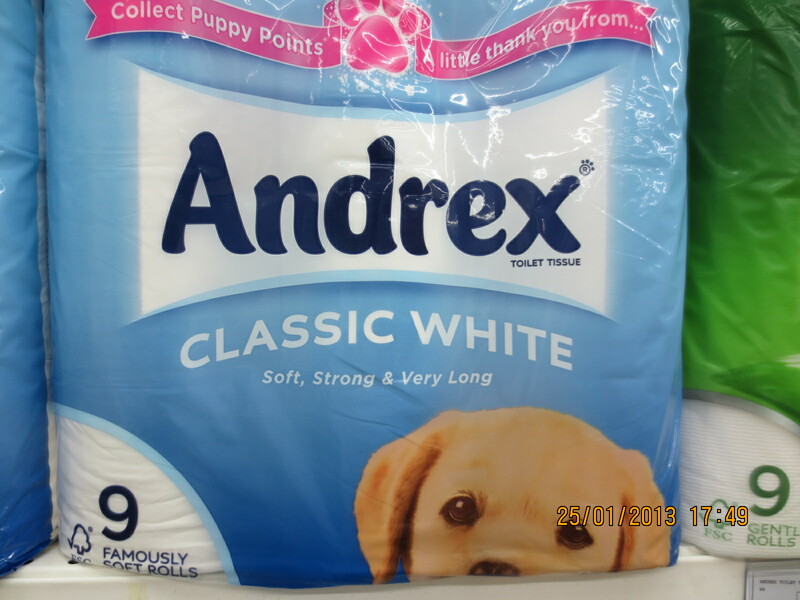 And, in the toilet paper department…. 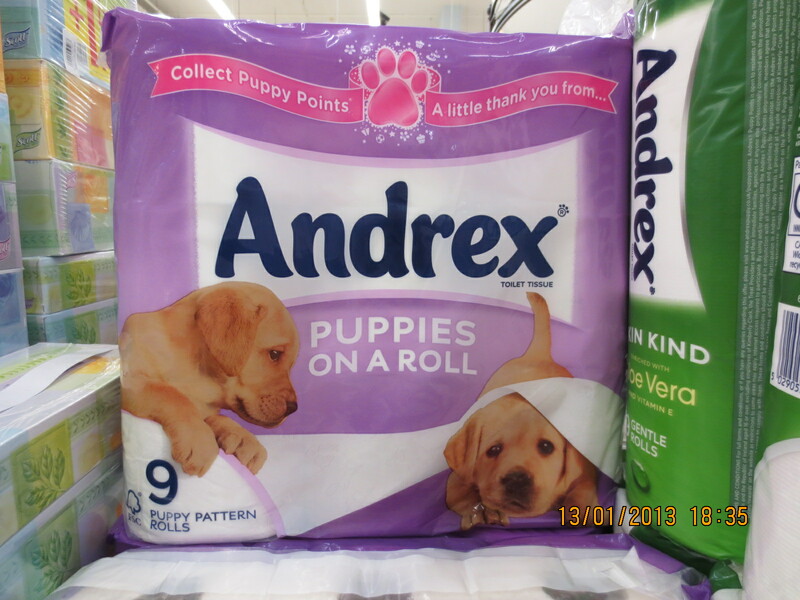 The always-popular “puppies on a roll”. *shrug* I honestly got nothing on this one, can’t for the life of me fit anything into that line. 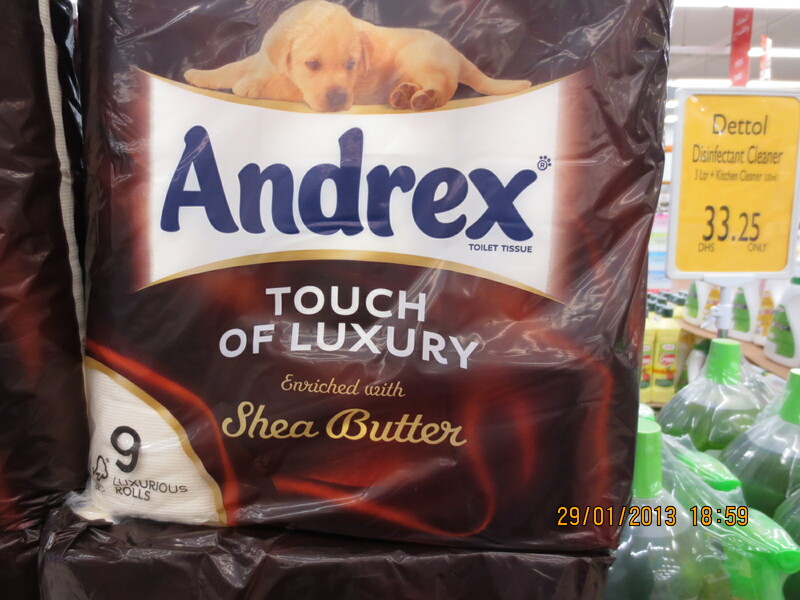 Or, how about one enriched with shea butter. I mean, what the heck use is that?? Not sure I actually *want* my toilet paper enriched with anything, thank you…..
Now, I’ve never personally had one….. but this was certainly eye-opening….. a bust-firming massage??? Holy cow…. 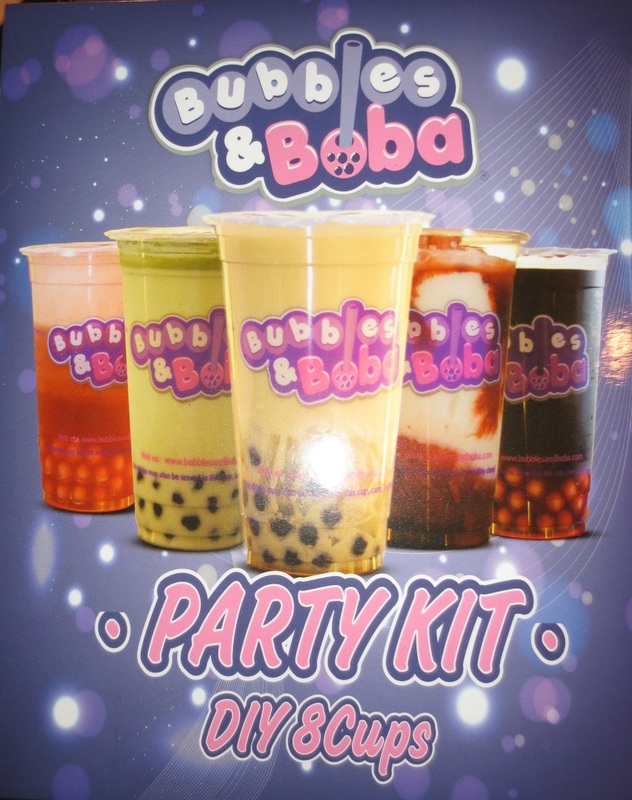 While we’re talking about drinks…. 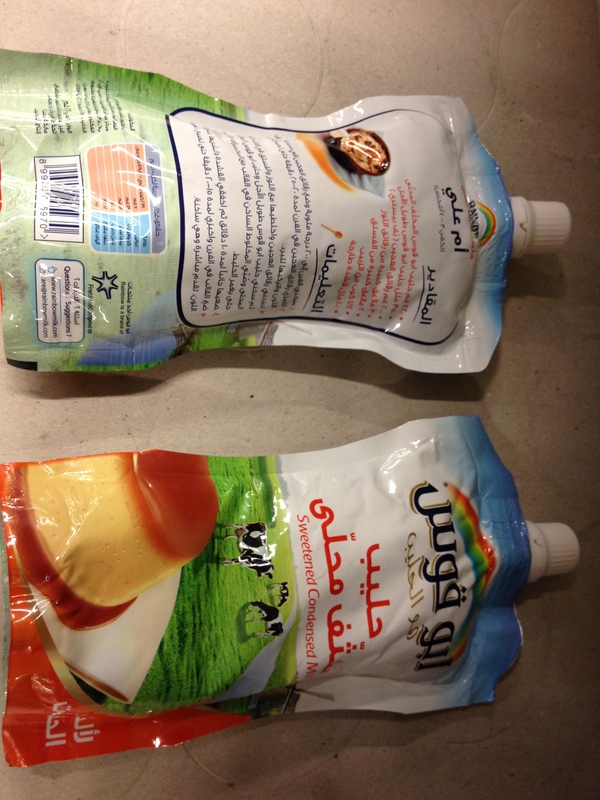 Check out these… um….. well, if you can’t read the label, turn it over! 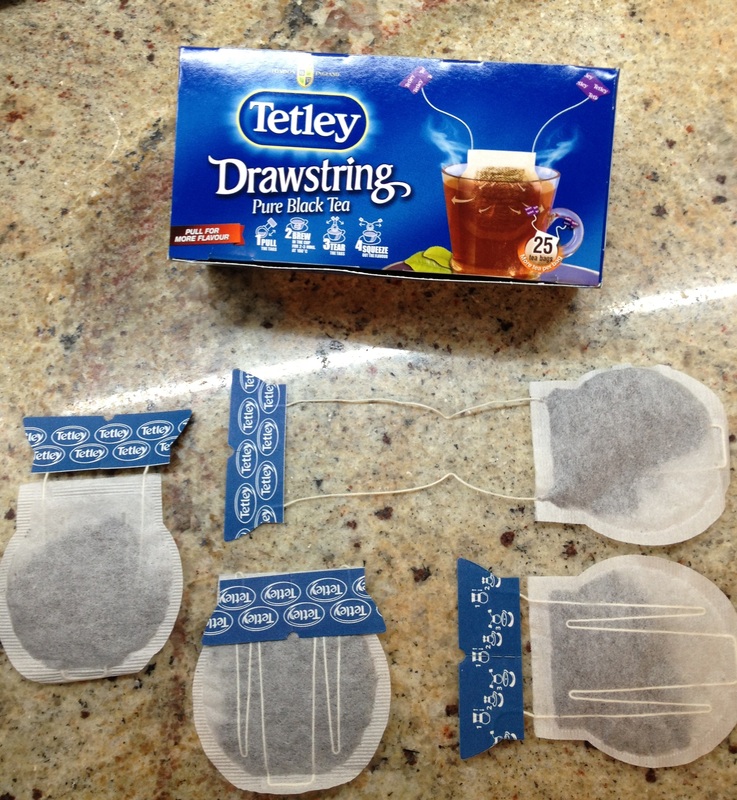 Cute little drawstring teabags – took me a bit to figure these out once I got them home…. Hhmmmm…. Something from cows that you can turn into a mexican-looking flan with a perfect crunch topping. *snap* Got it. 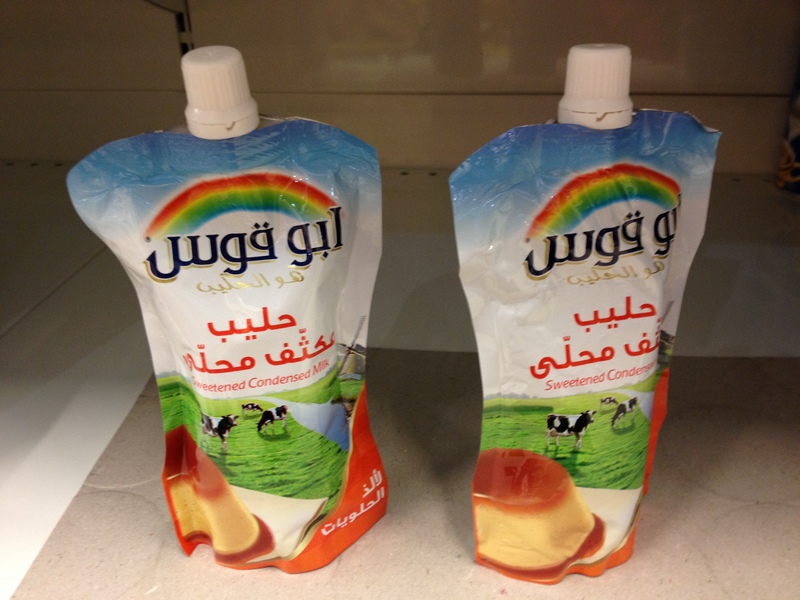 Sweetened condensed milk…. There it is, in tiny little letters. 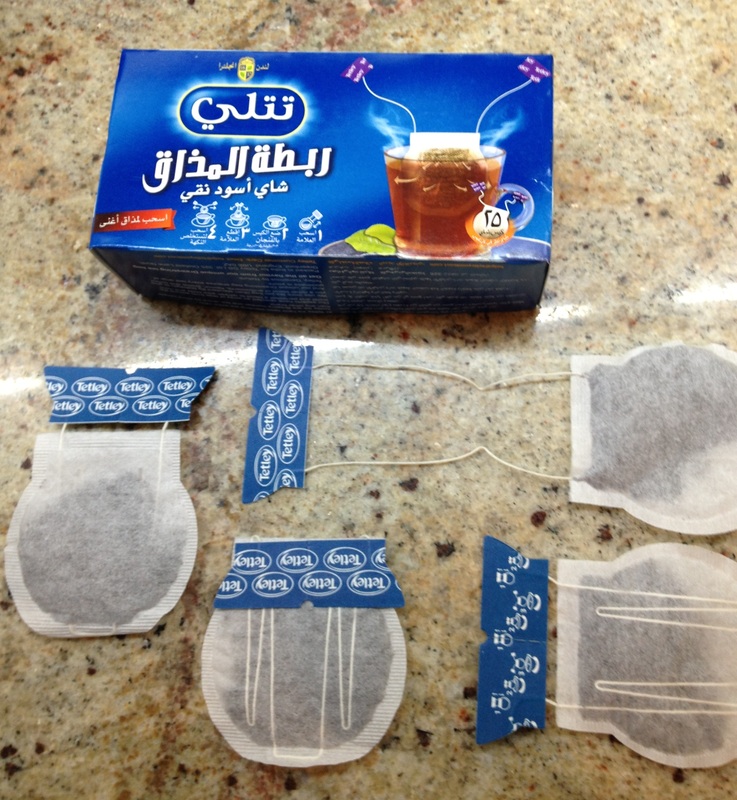 But isn’t the packaging brilliant? No more scraping that thick stuff out of a can that’s got sharp edges and you never get the last bit out…..
Just squeeze it up and done. Less space in the landfills, less space on the shelves of both the grocery and your pantry. Lighter weight too. Brilliant idea! Here’s another along the same line… I love these bags! 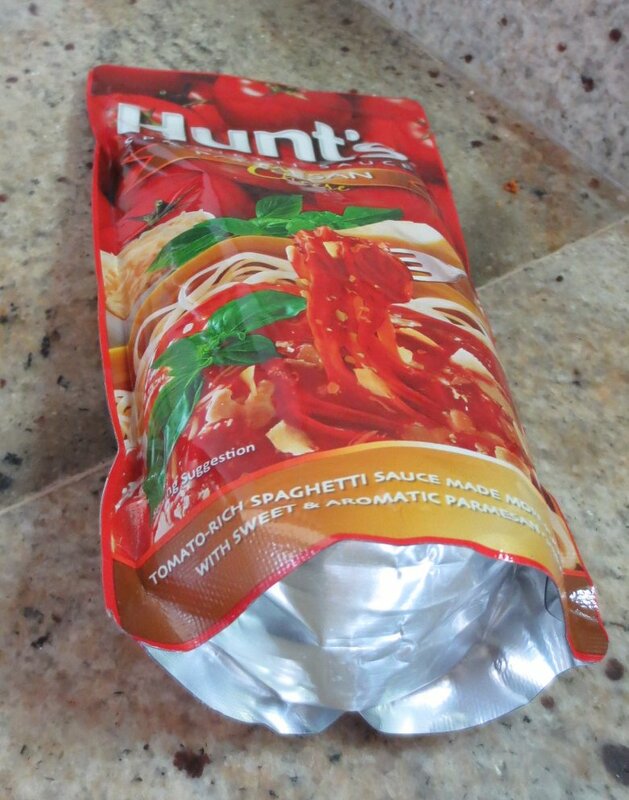 “Honey, run to the cold store and get me a bag of spaghetti sauce!”. 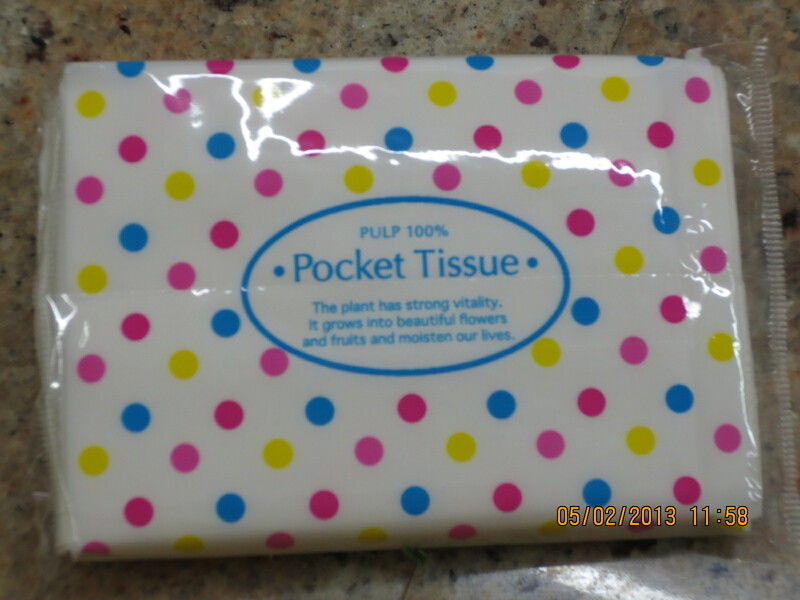 How about some pocket tissues? Cute little dotted bag, would be easy to slip into my handbag…… wait, WHAT does it say?? “The plant has strong vitality. It grows into beautiful flowers and fruits and moisten our lives”. Okay…..
Now this is cute…. Took me a minute or two…. Get it? “jiggle it loose”?? 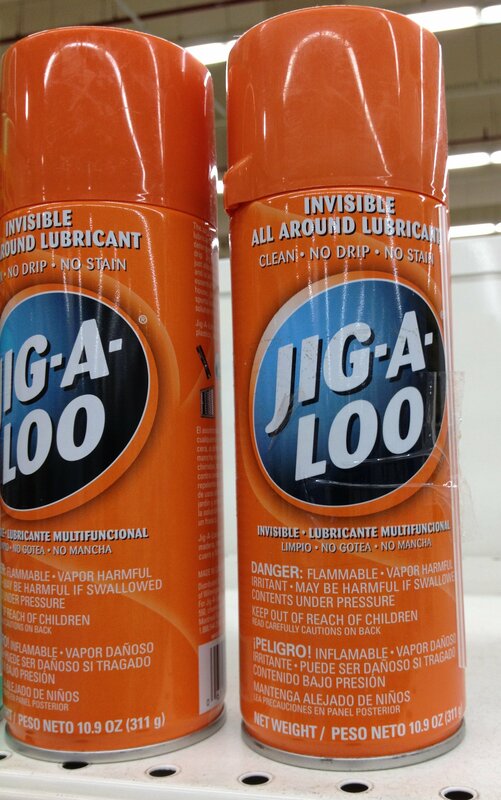 It’s a spray lubricant! Kinda like WD-40, I’m guessing. One of my favorites so far that even made TBG laugh outright was this one…. 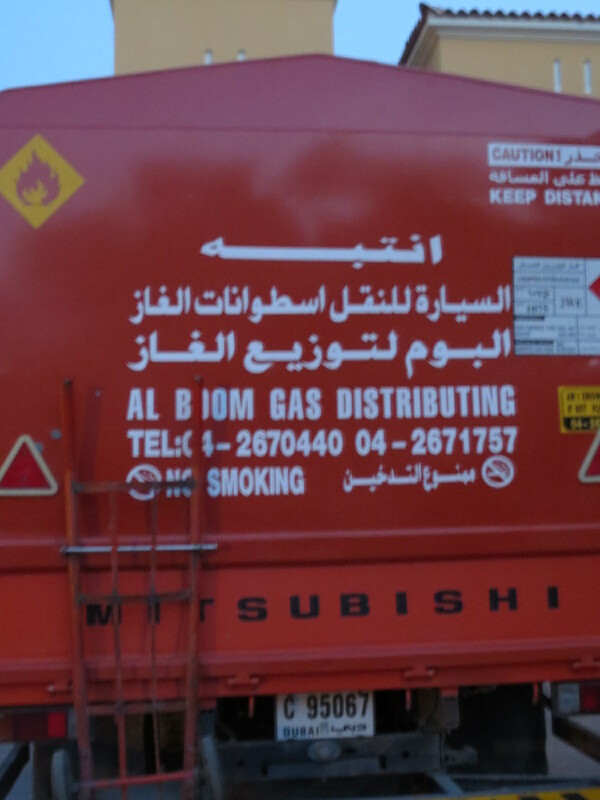 A local propane/LP gas delivery company has its company name emblazoned on the delivery trucks…. And it truly tickled my American sense of humor. Get it? “Al Boom”?? “Boom” like an explosion…. And it’s a propane truck? I think the cartoon character Hank Hill of the FX TV show “King of the Hill” would appreciate that humor, don’t you?? Anyhow, just a few of the things that have caught my eye that didn’t translate as expected.